At Full On Sport it's our mission to make event organisers lives easier. Let us take away the stress of the trivial jobs so you can get back to doing what you do best, organising events. 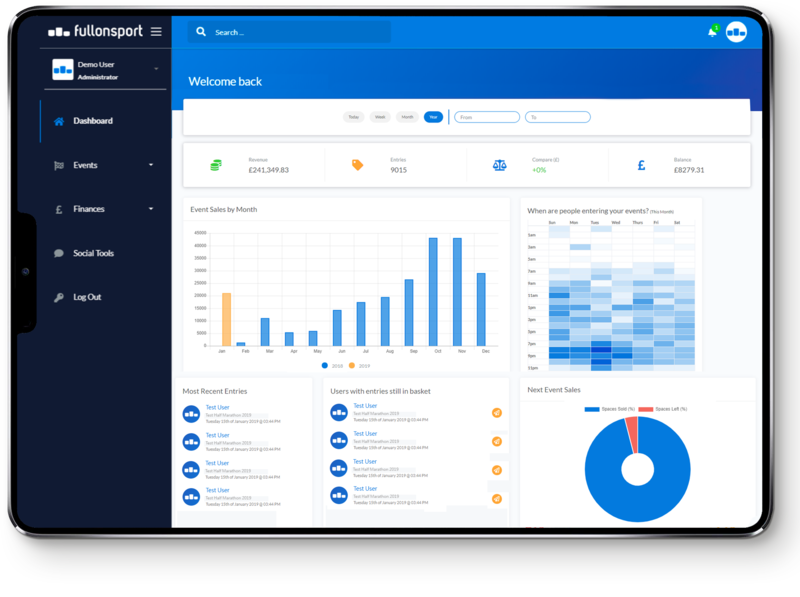 Our easy to use Directors Dashboard lets you manage everything from one place. Save time and money with our stunning white labelled platform. Enjoy the benefits of our advanced functionality whilst protecting your brand. Start the process right by choosing a professional online entry provider. First impressions start at registration and registration starts with Full On Sport. Our support and technical team are excellent. They offer great customer service with anything you need. Our mission is to make the whole process as easy as possible so you can concentrate on organising your events. There's no need to juggle several platforms anymore - Our extensive range of tools means you can manage and process online entries for all of your events from one place. We don't just provide online entry, it's a complete event management system. The administration tools have been streamlined to minimise queries and allow you to easily manage transfers and refunds. Switch to us and save. Using our platform means you don't have to pay for website and merchant fees, it can be used for free. How you ask? Email sales@fullonsport.com to find out. 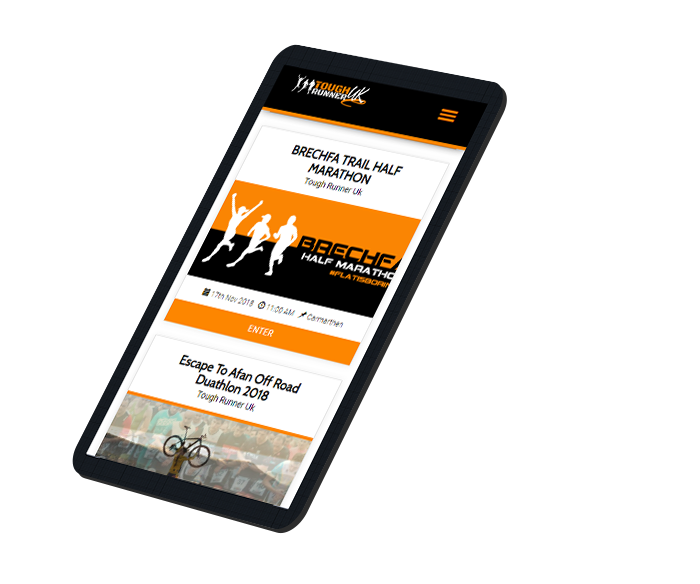 We are one of the UK’s leading online entry providers for sports and fundraising events. Event organisers across the nation have entrusted us with handling their events. Gain instant access to over 200,000 active users of your target audience. Over 2,500 athletes seeking sport and fundraising events visit Full On Sport every day. We have worked with a number of companies over the years and Full On Sport are by far the best. If your organising an event large or small, you won't be disappointed. We have worked with a number of companies over the years and Full On Sport are by far the best. Full On Sport provide an excellent service over and above expectation. Everyone is extremely helpful to both our team and the participants leading up to and after the event. We would recommend Full On Sport to anybody who wants a reliable and trustworthy service to maximise the potential of their events. All of us at Tough Runner UK are incredibly excited to be working with Full On Sport again for the 2019 season. England Athletics are proud to have worked with Full On Sport The team have delivered work of the highest quality and have offered valuable advice and expertise throughout the project. England Athletics are proud to have worked with Full On Sport to develop our online events entry and athletics competition management system. 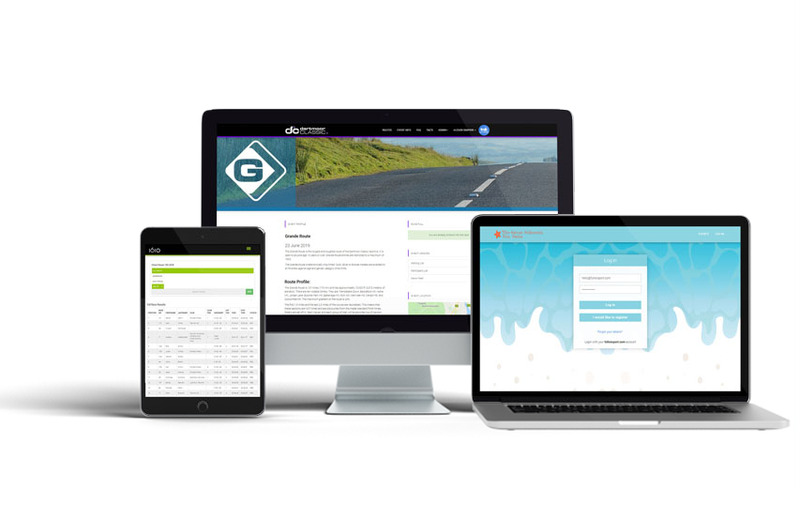 The system allows us to take online entries for track and field competitions and offers a complete ‘entry to results’ competition management system for use by England Athletics, our affiliated clubs, area associations and other event providers. The Full On Sport team have delivered work of the highest quality and have offered valuable advice and expertise throughout the project. We are pleased to be working with Full On Sport to continually improve and develop the system. We would not hesitate to recommend Full On Sport for any race needs you have, they are by far the best fit for us. Full on Sport provide an all-encompassing solution from a well-rounded platform for Event Organisers and Participants alike. 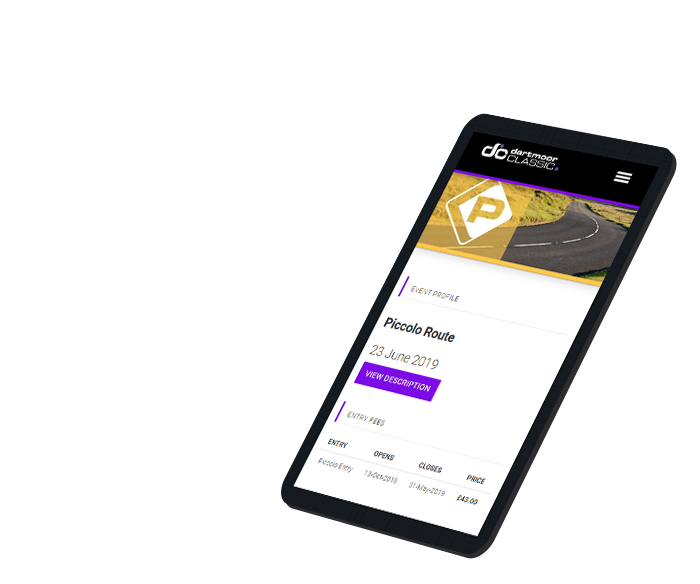 Their event listing is easy to use and navigate to load and edit events as well as being secure and fantastic for downloadable reports and statistics. The team always go above and beyond with our requests for help or support and are friendly and approachable. We would not hesitate to recommend Full On Sport for any race needs you have, they are by far the best fit for us. If you are even considering organising a sport event make sure you have a chat with Full On Sport. Fullonsport are awesome. We have been using them for over 10 years and will continue to do so for many more. Their services and prices are unmatched. If you are even considering organising a sport event make sure you have a chat with Full On Sport. We no longer have any of the stress of last minute entry changes. This equates to more hours doing what we do best for the events, which is a more cost effective use of our time. We have used Full On Sport for a number of years, selecting them in the first instance based purely on price. From the first event we have found them to be extremely flexible and responsive to our needs. We no longer have any of the stress of last minute entry changes, queries or results. This equates to more hours doing what we do best for the events, which is a more cost effective use of our time. We are delighted to have found a supplier who is happy to explore ways to add new dimensions to our entry systems. I wouldn’t hesitate to recommend Full On Sport. The Full On Sport online registration system performed really well with the ballot registration of 4600 successful applicants. A smooth operation for us. The Full On Sport online registration system performed really well with the ballot registration which we used for the first time in 2017 and then the subsequent registration of the 4600 successful applicants. A smooth operation for us.